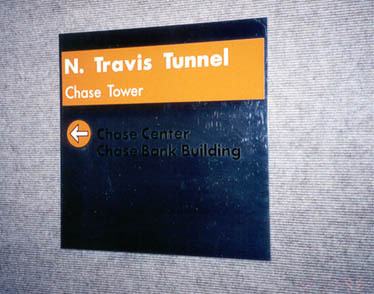 The downtown area of the City of Houston, Texas is laced with a system of underground pedestrian tunnels which allow workers and shoppers to move about downtown Houston in weather-free comfort. 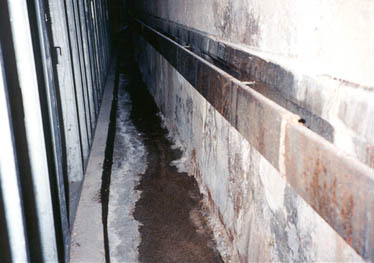 Due to the low water table of this area of Texas, leakage and seepage is a constant problem in the tunnels, which have a trough drain running parallel on both sides for drainage. Engineers wanted to assure a dry section of tunnel with added carrying capacity, and specified EnviroLastic AR 200 HD as the only liner system to be installed. Working on one weekend, Mobile Enterprises crews prepared and sprayed the tunnel section to provide a smooth, leak free lining for “The Tallest Building West of the Mississippi”.